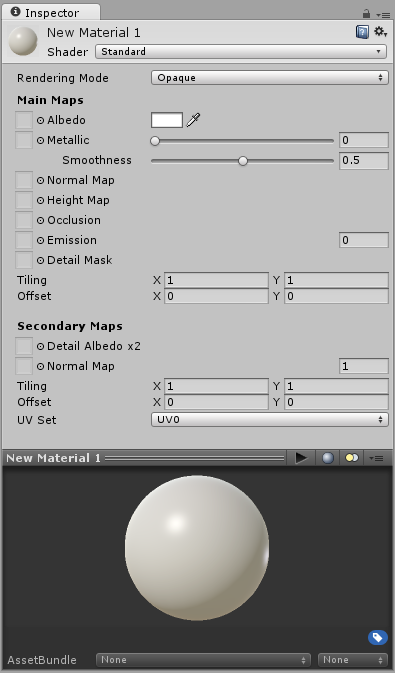 The standard shader presents you with a list of material parameters. These parameters vary slightly depending on whether you have chosen to work in the Metallic workflow mode or the Specular workflow mode. Most of the parameters are the same across both modes, and this page covers all the parameters for both modes.